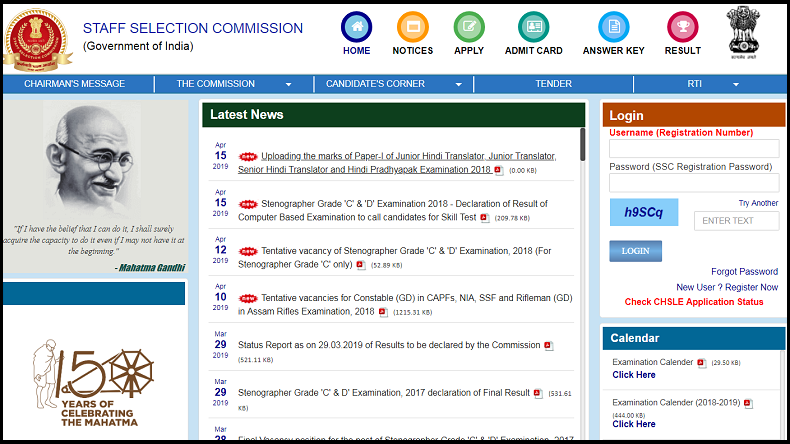 SSC JHT, JT, SHT, Hindi Pradhyapak Recruitment 2018-19: The Staff Selection Commission has uploaded the marks for SSC Junior Hindi Translator, Junior Translator, Senior Hindi Translator and Hindi Pradhyapak Examination 2018 Paper-1 exam on the official website - ssc.nic.in. Candidates can follow the steps to download the marks given here. SSC JHT, JT, SHT, Hindi Pradhyapak Recruitment 2018-19: The Staff Selection Commission (SSC) has released the result of SSC Junior Hindi Translator, Junior Translator, Senior Hindi Translator and Hindi Pradhyapak Examination 2018 Paper-I results on March 22, 2019. through its official website and according to the latest reports, the marks of Paper-I examination for the above-mentioned posts have been uploaded on the official website of SSC yesterday, i.e. on April 15, 2019. How to check the SSC JHT, SHT, Hindi Pradhyapak Recruitment 2018-19 Exam Paper-1 marks? Note: If a candidate finds any difficulty in accessing then marks, they can directly contact the authority for information regarding the same.